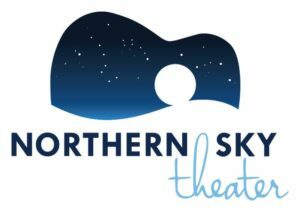 Northern Sky Theater, together with Werner and Sue Krause, announce the establishment of an annual scholarship to support a Door County high school senior who is pursuing a course of study in various theater arts or music performance. The Northern Sky Theater Werner & Sue Krause Scholarship is available to students pursuing a degree in theater or music performance who exhibit a love for theater or music performance and who have participated in the performing arts throughout their high school career. Candidates must be in the final academic year (senior year) of their secondary education and plan to attend a postsecondary educational institution, full-time or part-time, in the fall of the academic year following graduation. The scholarship application is available in the online database for the Door County Scholarship network. The link is also available on www.NorthernSkyTheater.com. Application deadline is April 1st. The mission of Northern Sky Theater is to create, develop and present professional musical and dramatic productions that will further the knowledge and appreciation of the culture and heritage of the United States.